MSG The Warrior Lionheart - Movie's Music Released Today! After huge success of Trailer Launch, today the music of MSG The Warrior Lionheart was launched at Taj Lands End, Mumbai. 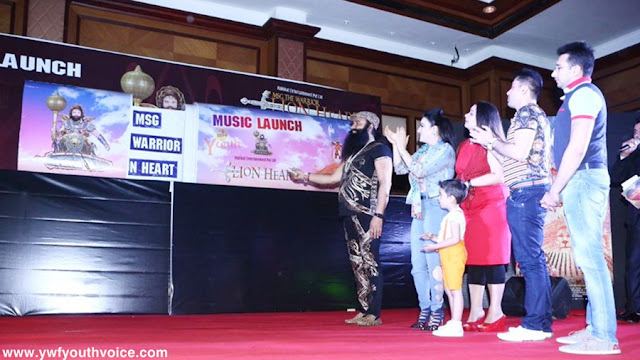 Few days back trailer of Saint Ram Rahim's upcoming movie MSG The Warrior Lionheart was released on YouTube which kept on trending for days, after huge success of Trailer Launch, today the music of MSG The Warrior Lionheart was launched at Taj Lands End, Mumbai. 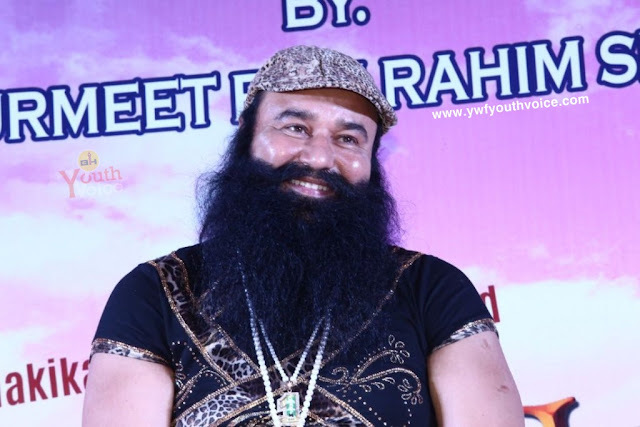 The music launch function was houseful just like MSG 2 The Messenger movie theaters, thousands of people along with media were present during music launch. 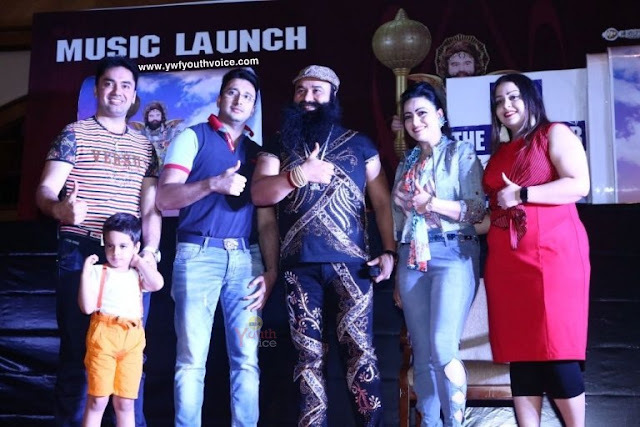 Co-director and daughter of Saint Ram Rahim "Honeypreet Insan", daughter Amarpreet Insan and his son Jasmeet Insan was also present. Function was started by showing The Super-Human documentary, everyone was impressed by Dr. MSG after seeing that. You can also watch it online. Usually we see people launching music with audio CDs as symbol but Saint Ram Rahim launched music in absolutely new style unveiled the cover using USB Flash Drive. You'll be amazed to know that Dr. Gurmeet Ram Rahim was honored with 5 Platinum Plaque by IFPI and Sony DADC for the huge success of MSG The Messenger movie's music, over 10 lakh audio CDs were sold, fans are waiting for music CDs of Lionheart. Full music video of title track "Ijjat Ka Rakhwala Sherdil" was shown on screen during music launch which will soon be available on YouTube. Both tracks are available now on all popular platforms like YouTube, Saavn, Gaana etc, however it's still not confirmed whether music CDs will be released or not. As sources say there are only two songs in Lionheart movie which may result in releasing music online in digital formats only. However there are chance of Audio CD release including remix version of these two tracks. Youth Voice: MSG The Warrior Lionheart - Movie's Music Released Today!